Poole Dog Walking specialise in walking your furry friend when you can’t. We love dogs, all shapes and sizes and we love to take them on a great adventure. 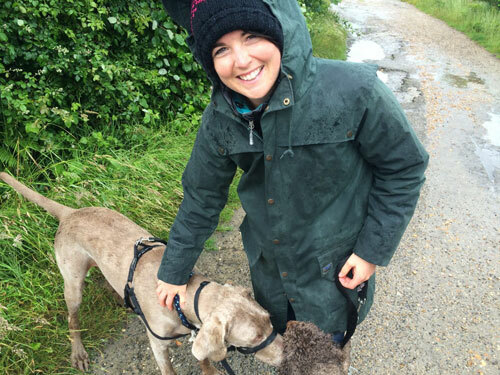 Kate and Asha are experienced dog walkers with years of experience caring for their own fur families. You can feel relaxed in the knowledge that they will provide your dog with the care and attention they deserve while in the care of Poole Dog Walking. We offer walks seven days a week, throughout the Borough of Poole, including Branksome, Canford Cliffs, Sandbanks, Whitecliffe, Baiter Park, Hamworthy, Parkstone and Upton. Poole Dog Walking also have an owners club, running a monthly meet up with a warm drink and some cake for all the family and dogs to enjoy. Please give us a call or email to discuss making a booking, whether a one off, or a regular booking.